When you are looking to purchase a used car, sometimes the price tag can be still more than you can afford. 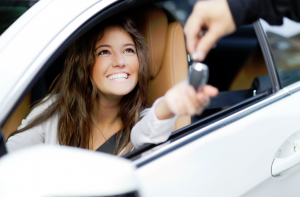 This is precisely why you need to obtain used auto financing that is reliable. Given the increase of fraud in the auto loan industry, it is imperative to be very careful about what company that you are working with. If you are located in the Forestville area, then it is highly recommended to reach out to Expert Auto regarding used auto Financing in Forestville. By doing so, you will have the privilege of working with one of the most reputable companies in the industry. At Expert Auto, we greatly pride ourselves on providing affordable auto financing that our customers will be able to pay off successfully. This is precisely why we have an initial meeting with each and every customer to assess their individual financial situation. By doing this, we find that we are able to find realistic and affordable financing options for our customers that can positively contribute to their credit score. If you would like to learn more about Expert Auto’s current inventory, it is highly recommended to schedule a consultation appointment. In order to learn more about Expert Auto and our used auto Financing in Forestville, then it is wise to contact us today by dialing (866)429-0970. By doing so, you will be able to realistically assess your budget as compared with our current inventory and decide which potential vehicle is the ideal fit for your individual financial needs. Thus, please do not hesitate to reach out to us today to schedule an appointment. We are committed to assisting you achieve success in obtaining the necessary used auto financing that you need to get the car that you need.